We are very happy to announce that the extraordinary ROSS KARRE and PHYLLIS CHEN from ICE (International Contemporary Ensemble, New York) will be joining us in the Disko Bay (by the mouth of the Ilulissat Icefjord) for THE DISKOTEK SESSION of the summer. They will host a series of sessions for children and grownups including 'Music for Outdoor Spaces', 'Alvin Lucier: Chambers', 'Graphic Scores', 'Instrument Making Workshop', 'Composition and Improvisations with Local/Native Instruments and Musicians' as well as chamber music recitals. 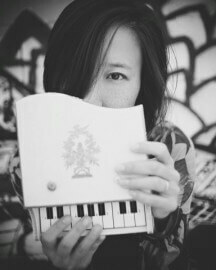 PHYLLIS CHEN, praised by the New York Times for her “delightful quirkiness matched with interpretive sensitivity,” Phyllis is a pianist, toy pianist and composer who performs original multi-media compositions and works by contemporary composers. The LA Times simply states, “She is a bold pianist with an excellent sense of color.” Playing an instrument that has no set boundaries or genre, Phyllis’ artistic pursuits has taken her in numerous directions, leading to her selection as a New Music/New Places Fellow at the 2007 Concert Artist Guild International Competition. Phyllis is one of the founding members of the International Contemporary Ensemble and was selected as one of the composer/artist for the inaugural ICElab Series. Phyllis was also the recipient of the 2012 Roulette/Jerome Commission and one of twelve composers-recipients of the 2012 Fromm Music Foundation. Recent commissions included a set of lullabies for toy piano and string orchestra commissioned by Boston’s string chamber ensemble, A Far Cry, a solo work commissioned by the Baryshnikov Arts Center for the Cage/Cunningham Studio Space to be premiered December 2014. Phyllis founded the UnCaged Toy Piano, a composition competition to further expand the repertoire for toy piano. The Chicago Reader says that Phyllis has “become one of the world’s leading proponents of the toy piano.” The competition has received works from composers all around the world and these compositions become an integral part of her repertoire. In the Winter of 2011, Phyllis curated the first-ever three day toy piano festival in New York City, followed by the second festival in 2013. UnCaged Toy Piano is always seeking musicians and composers interested in developing new works for the toy piano. Phyllis recently released her third solo toy piano album, Little Things, on New Focus Recordings and a collaborative album with the Brooklyn-based chamber-pop ensemble, Cuddle Magic, on fyo records. ROSS KARRE is a percussionist and temporal artist based in New York City. His primary focus is the combination of media selected from classical percussion, electronics, theater, moving image, visual art, and lighting design. After completing his Doctorate in Music at UCSD with Steven Schick, Ross formalized his intermedia studies with a Master of Fine Arts from UCSD. He has worked closely with composers from around the world such as Pierre Boulez, Helmut Lachenmann, and Harrison Birtwistle in N. America, S. America, Europe, Asia, and Australia. 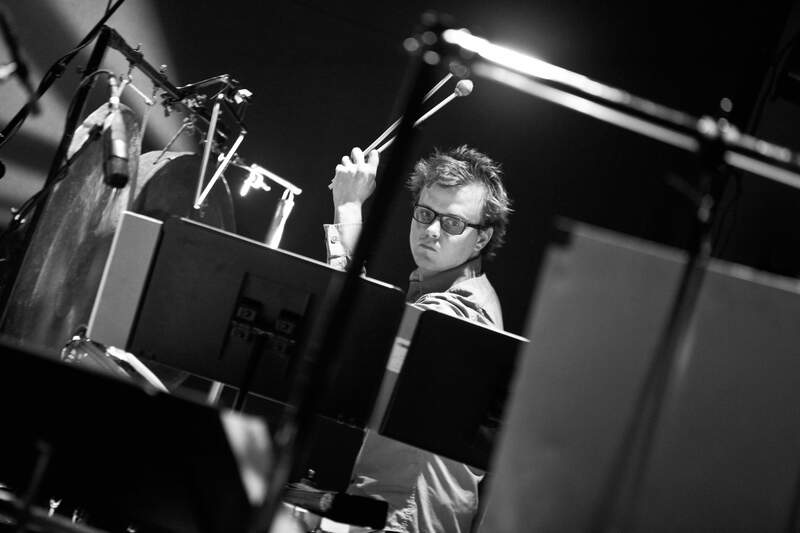 Ross is a percussionist and Director of Production for the International Contemporary Ensemble (ICE) and performs regularly with red fish blue fish, Third Coast Percussion (Chicago), the National Gallery of Art New Music Ensemble (DC), and many others. His projection design and video art has been presented in numerous prestigious venues around the world including the BBC Scotland (Glasgow Concert Halls), the Park Avenue Armory (NYC), Miller Theater (NYC), the Kennedy Center, the National Gallery of Art (Washington, DC), and the BIMhuis (Holland). Ross is the founder and owner of a growing arts documentation business called rKAD (rosskarre.com/rkad) specializing in video and audio recordings of performing arts.